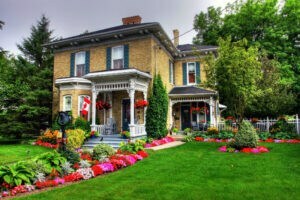 If you are looking to buy a historic home, you most likely know how much restoration work could be involved; however, not all historic home buyers realize the exact amount of work required to restore a chimney. Many of these home buyers think that the chimney simply needs masonry work to repair deteriorated bricks and mortar, but older chimneys generally require other repairs to bring them up to modern building standards. Without these important updates, the chimney could be unsafe and be a dangerous hazard for fires and carbon monoxide leaks. At Olde Towne Chimney & Fireplace Sales, chimney safety is a top priority.  Our chimney technicians have been trained and certified by the Chimney Safety Institute of America (CSIA), and we have experienced chimney masons who you can trust to safely restore your historic chimney. We would like to tell you about some of the repair work that you can expect with historic chimneys. If the home was built before 1920, the chimney may not be lined. According to Chimneys.com, building codes did not require chimneys to be lined, and many areas did not enforce this code until the 1940’s after the National Bureau of Standards warned of the danger of unlined chimneys. A chimney liner serves three important functions that are necessary for safety and efficiency reasons: to protect your home from heat transfer, to prevent masonry erosion from the byproducts of combustion, and to provide a correctly sized flue for the heating appliance. Olde Towne Chimney & Fireplace Sales can bring older chimneys up to code by installing a new liner that is the most appropriate for the chimney and fireplace system. Years ago, people used the smoke chamber, which is located directly above the damper, to smoke meats. This is why you may find a door inside or above the smoke chamber. To ensure that smoke can exit smoothly out of the chimney, this door needs to be removed and sealed with bricks and mortar. Olde Towne Chimney & Fireplace Sales can parge the smoke chamber to allow smoke to pass through more easily. This will also protect the combustible parts surrounding the chimney from heat transfer. Not only do many historic chimneys have damaged and missing bricks and mortar joints, but they can have other problems such as a damaged chimney crown, structural issues, and missing water leak preventive components like a chimney cap and a flashing system. None of these problems are too large for Olde Towne Chimney & Fireplace Sales. Our expert chimney masons know how to repair and rebuild chimneys using older masonry techniques. We can restore historic chimneys to look beautiful and to function safely and efficiently. You should always consult with a chimney professional before purchasing a historic home. 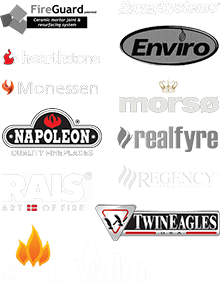 Contact us at Olde Towne Chimney & Fireplace Sales to schedule a chimney inspection today.